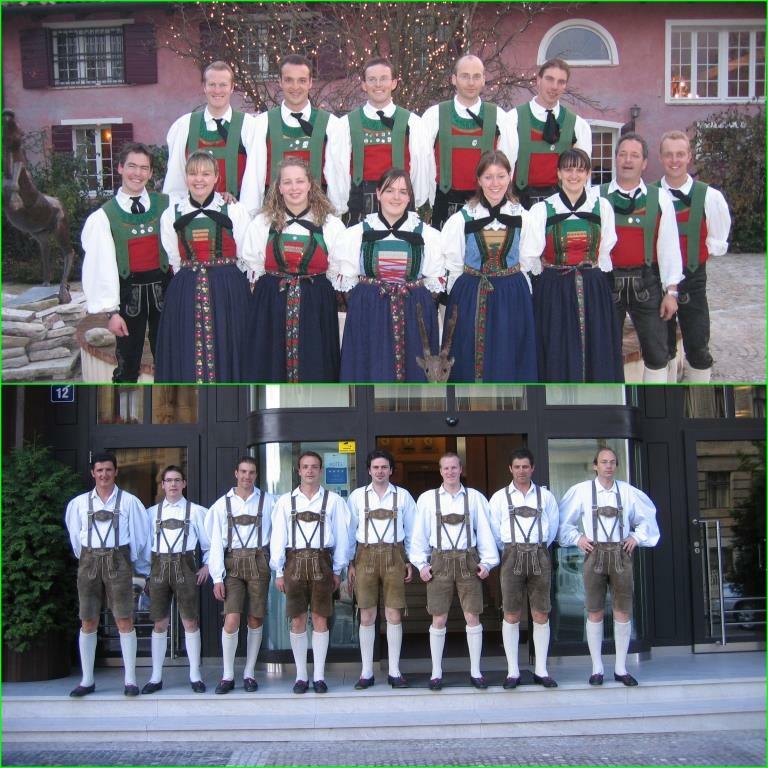 The main intention of the Folk Dance Group "Uniun Bal Popolar Val Badia" was to create a leisure association that would gather persons interested in popular dancing including the Schuhplattler, in singing and playing music. They should first of all cultivate these cultural aspects of the area by learning typical popular dances, by showing them to the others and by wearing the traditional costume. The main activity of the group is the performance of popular dances on various occasions of light entertainment programmes as well as the participation in national and international folk meetings. The members of the group come from several villages of the valley and gather once a week from April till November for practicing popular dances they already know and for learning new ones. Among them there are even some musicians to accompany the group with their live music played on their harmonicas and guitars. The group is lead for more than ten years now by its president Günther Declara.